It’s time for the update on how I’ve been getting on with the System Professional My ENERGYCODE that I originally posted on around a month ago. You can read the original post introducing the range HERE. But as a little refresher – the whole range from Wella System Professional has been given a big old make-over and re-launched as System Professional My ENERGYCODE. Which is a ‘system’ of products to do everything from care, to styling and each one is designed to tackle various hair ‘issues’ that you can combine into your own custom ‘cocktail’ of products to suit your needs and give you better hair in a matter of weeks. So after the original consultation and treatment – I’ve been using the System Professional My ENERGYCODE products ever since and wanted to share my thoughts now it’s been a good amount of time. Firstly the hair care products have really impressed me – especially the shampoo that has worked with my sensitive scalp really well. In fact, it was only a couple of days of being away in Italy where we had hand baggage only so relied on the shampoo in the hotel – which whilst lovely, reminded me how balanced my scalp had been since using the System Professional My ENERGYCODE range. Then when it comes to care there’s the day to day conditioner (Repair Conditioner) and the very special ‘Liquid Hair’ that is what makes it really special. I’ve used the treatment three times myself since the main treatment in the salon. It’s relatively easy to do, but definitely one you want to do on a Sunday pamper session rather than in a rush on Monday morning. The fussy bit is where you wash your hair, apply and blow dry (roughly) then rinse out before styling and drying properly as normal. It’s easy to do, just a bit of a break in the usual routine. The results? 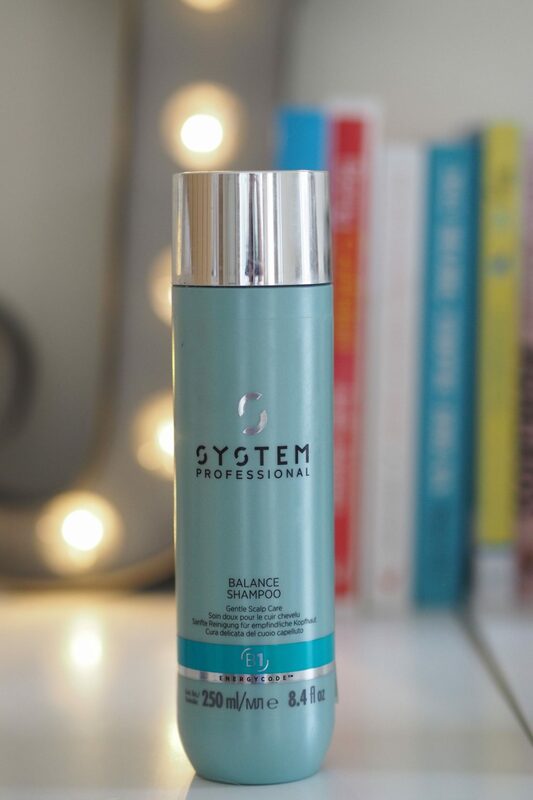 REALLY worth it – my hair feels instantly smooth and silky after using, but (most importantly) not leaving hair weighed down. Then there’s the styling products – a spray oil called Luxe Oil Reconstructive Elixir and the Volumize Bodyfying Foam that have becoming styling staples. I’m sort of used to using a mousse rather than a foam but the foam feels lighter and is far less likely to leave my hair crispy in the way mousse can. 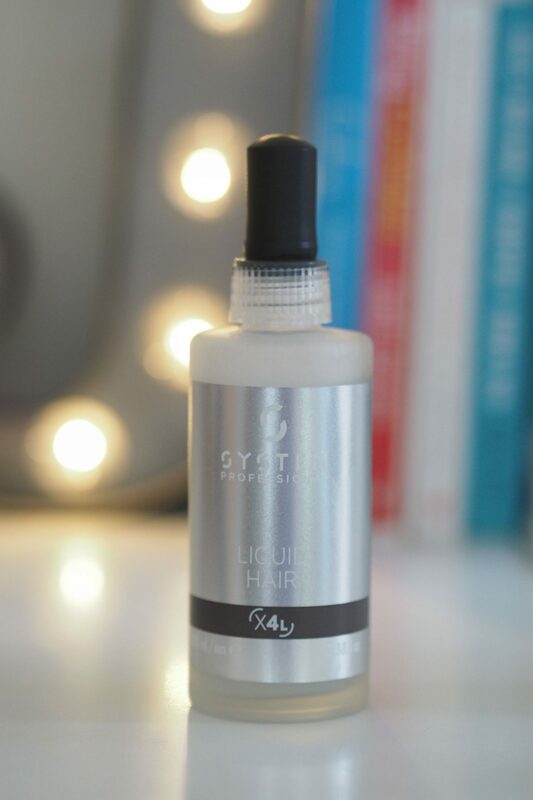 Overall, I am seriously impressed – mostly for my inner scalp-geek to have found something that works a treat for keeping my hair AND scalp happy at the same time. The fact it can be totally customised, it works really well to create a personalised – and adaptable – range of products. So if something changes – you need more moisture instead of volume, or you want to protect from the sun – you can switch a product or two rather than start from scratch. – taking a weekly treatment to a new level. Really impressive. I didn’t know this brand, but I like its customised concept, the liquid hair is particularly intriguing!